Guys: spent one too many Saturdays marooned at The Mall? 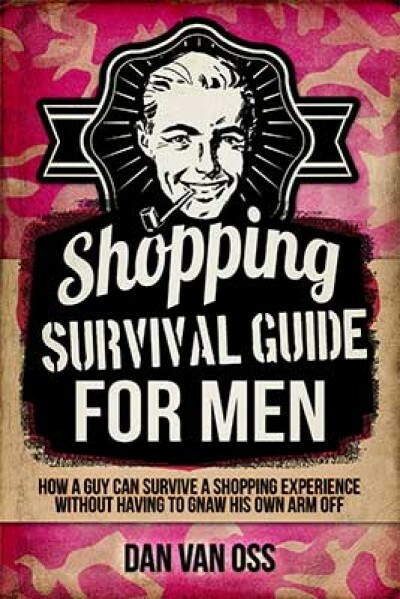 Rejuvenate your manhood with the Shopping Survival Guide for Men. This indispensable sanity-saver exposes the hidden history and insidious psychology of shopping (Hint: it’s crazy), plus cool-headedly guides you through the treacherous, credit card-melting mazes of shoes, makeup, prom dress shopping, and more. Don’t get dragged to The Mall without it!